Keep Calm & Snark On : It's a Snark Off!!! Edna is looking for a few new recruits for the sisterhood. 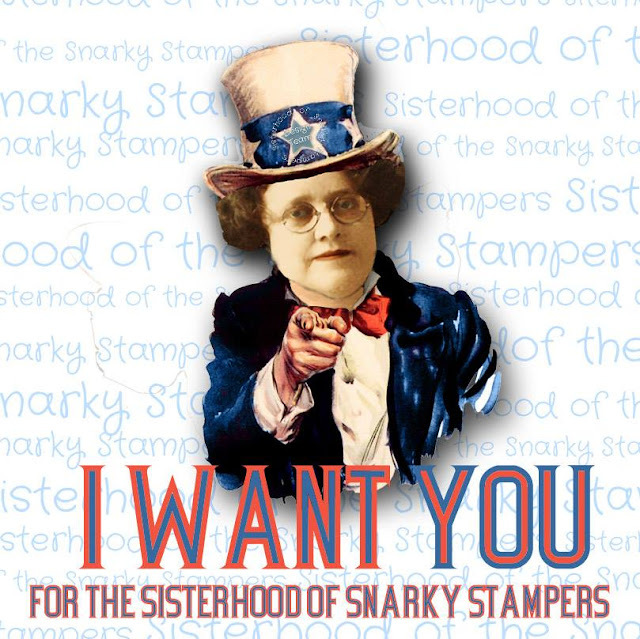 Have you always dreamed of letting your snark run wild?? We are looking to adopt a few new sisters (or brothers!!) for a six month term on the design team. Don't be shy...show us what you've got. You have until Friday April 8th to upload your project via the Inlinkz on the SoSS BLOG. Winners will be announced on Friday April 15th. May the snark be with you!